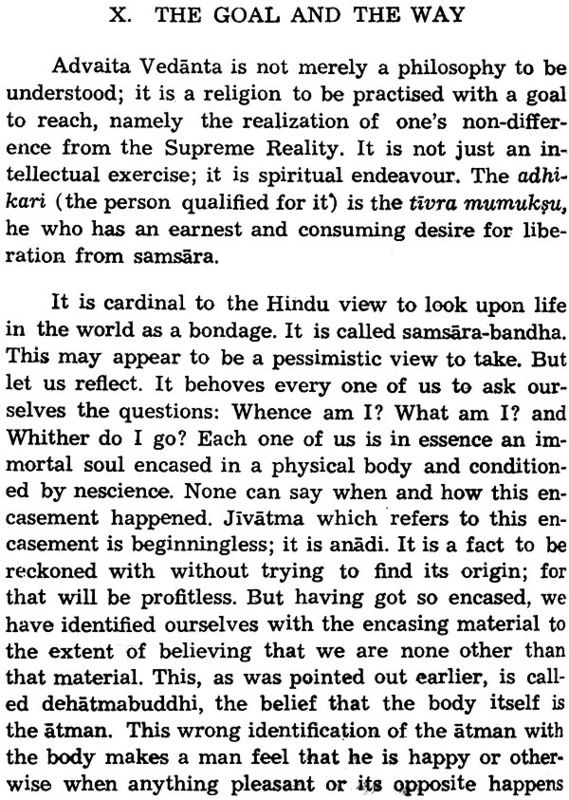 Books > Philosophy > Hindu > What is Advaita? Prof. P. Sankaranarayanan was a student of Dr. Radhakrishnan at the Madras Presidency College and later served as a Lecturer and Professor in various Colleges; Palghat, Mangalore, Tellicherry, Kumbakonam, the Madras Presidency College and Government Arts College. After retirement from Government Service he became the Head of the Department of Philosophy, Vivekananda College, Madras, and was a Professor at the Bhavan's College in Bombay. Wherever it was, he was a respected teacher, beloved of his students and his colleagues. In Bombay he endeared himself to Kulapati Munshi and the other workers there and became their friend, philosopher and guide. He was a devout Asthika and follower of the Vaidika Dharma and a great devotee of His Holiness Jagadguri Sri Chandrasekharendra Saraswati, the Paramachary of Kanchi Kamakoti Peetha. He has translated the discourses of the Acharya into English and made them available to a large readership. He also rendered into English the Sanskrit Commentary of the late Sri Chandrasekhara Bharati Mahaswamigal, on Sankara's Viveka Chunamani, and Sankara's commentary on Sri Vishnu Sahasranama Stotra, both published by the Bhavan. This book What is Advaita? has been written in simple style with clarity and precision and can be understood even by the layman. Prof. P. sankaranarayanan has written this book: "What is, Advaita?" 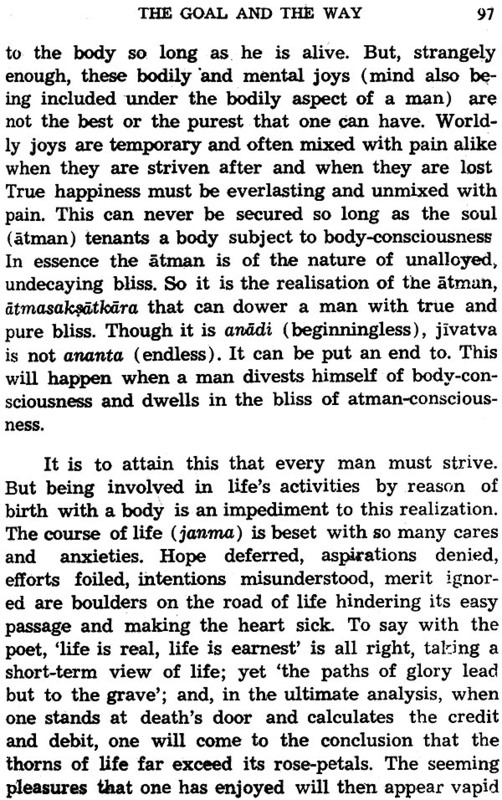 for the purpose 'of elucidating clearly and succinctly the truths of Advaita to the laymen who are anxious to know them. He is very well qualified to do so, being himself a scholar in Philosophy and having devoted a good deal of time to the study of Advaita as expounded in our great philosophical works, especially in those of Sankara Bhagavatpada, He has been a successful teacher of Philosophy for many years in the Government Colleges of the Madras State, in the Vivekananda College, Madras and in the Bhavan's College, Bombay. He has realised the diffi- culties of those who want to acquire a knowledge of Advaita and has tried successfully, according to me, to help. them to grasp its fundamental tenets. 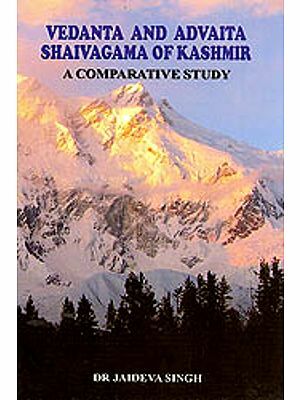 The book has been divided into two Parts. 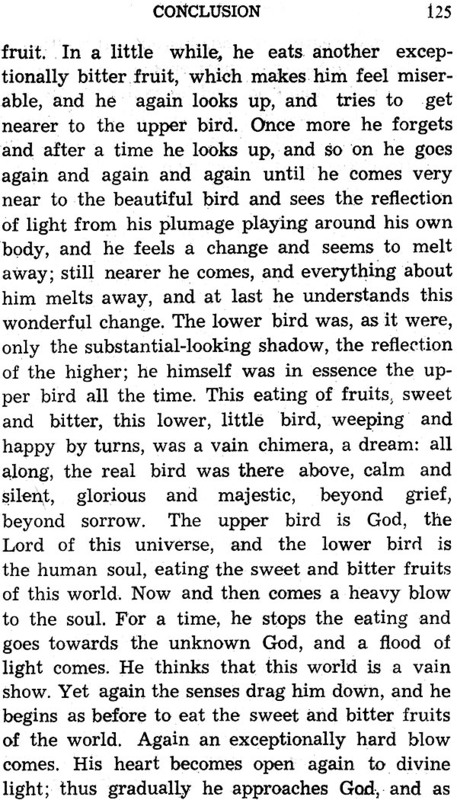 Part I is an exposition of Advaita; and Part II contains three Appendices. 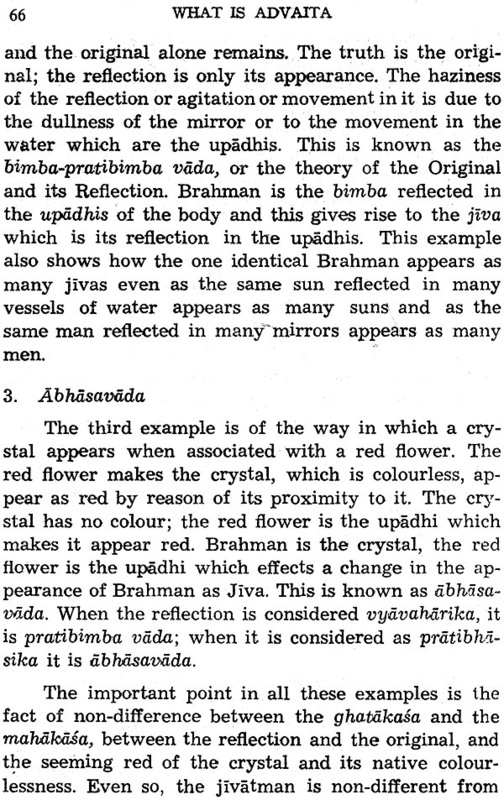 The first is a translation of the articles in the Advaitaksaramalika published by the Advaita Sabha, Kumbakonam quoting Vedic authority for the doctrines of Advaita. 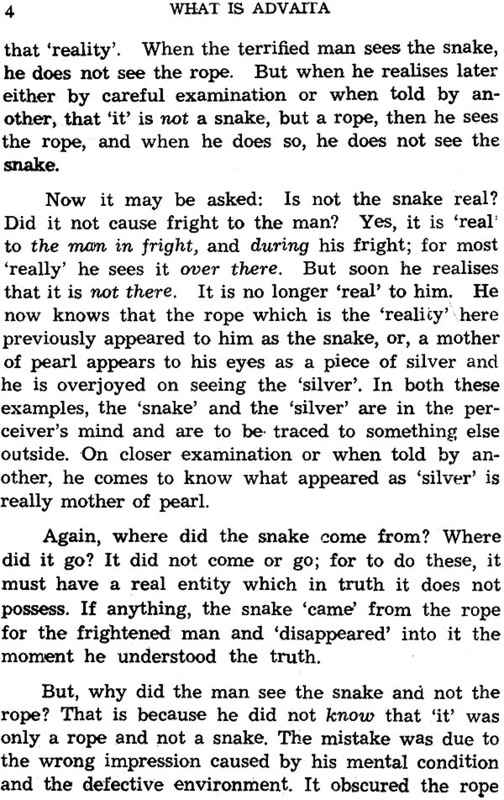 This is followed by explanations of the Manisapancaka and the Daksinamurti Stotra both composed by Sankara Bhagavatpada which throw a great light on the truths of Advaita. 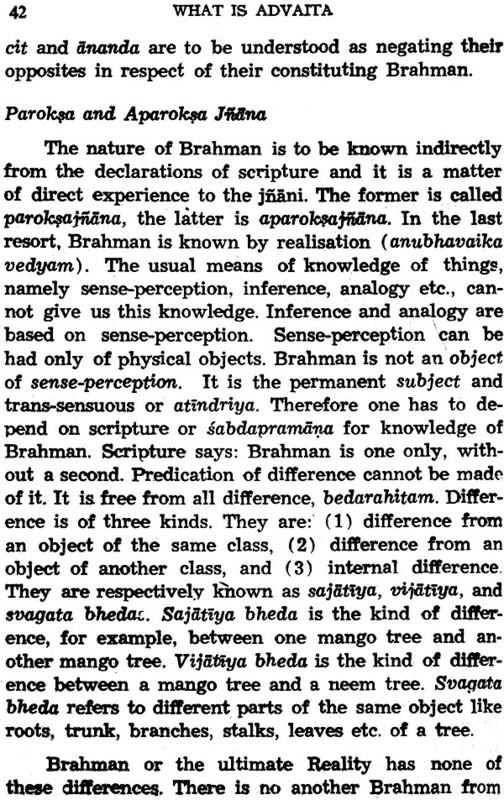 Prof. Sankaranarayanan rightly points out that Advaita is a tattva and not a mata, a truth and not a creed or a dogma. 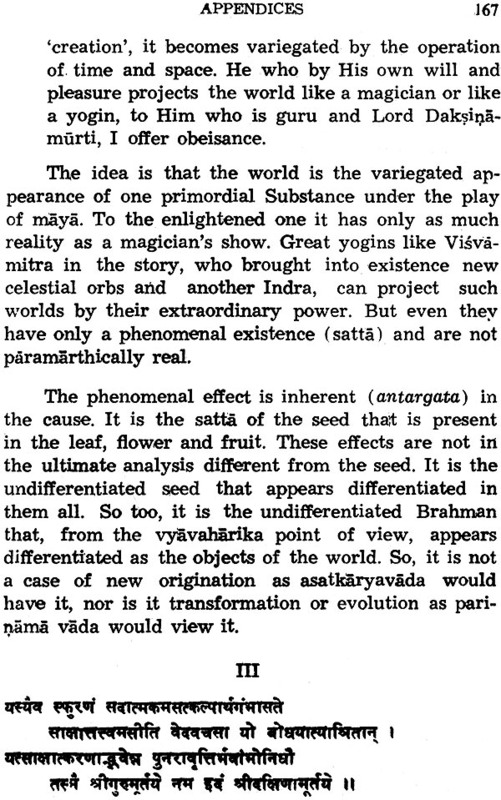 Its ultimate validity rests, as de- clared by Sri Bhagavatpada in his commentaries on the Brahma Sutras, on the authority of sruti re-inforced by one's own experience. 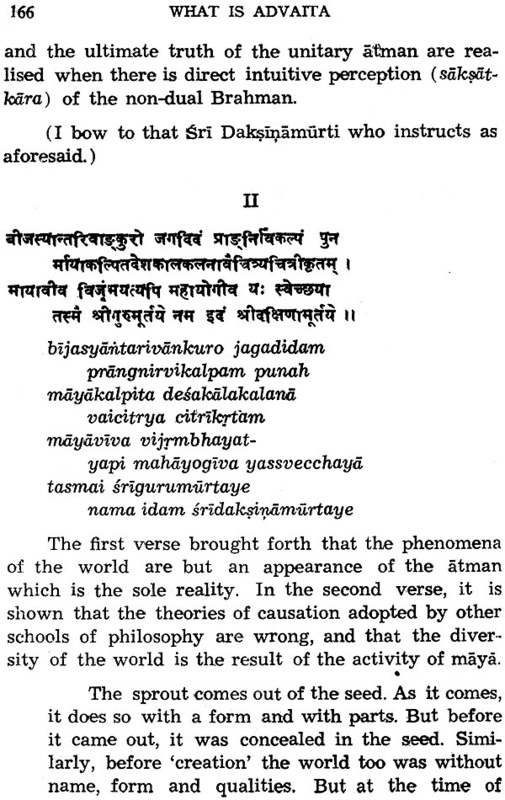 As mentioned in the Yoga Vasistha, to realise the atman, it is necessary to read together the facts of one's experience, sayings of scrip- ture and the upadesa of the Guru: svanubhutesca,sastrasya guroscaivaikyavakyata yasya abhyasena tena atma santatamavalokyate. The literal meaning of Advaita has been given in the standard work of Madhusudhana Sarasvati called Siddhanta Bindu which itself is a commentary on the Dasasloki of Bhagavan Sankara as follows: dvidhetam dvitamityahuh), tadbhavo dvaitamucyate na vidyate dvaitam dvidha bhavo yatra tadadvaiiamityaksararthah. "That in which there is no two-foldness" is the literal meaning of Advaita. 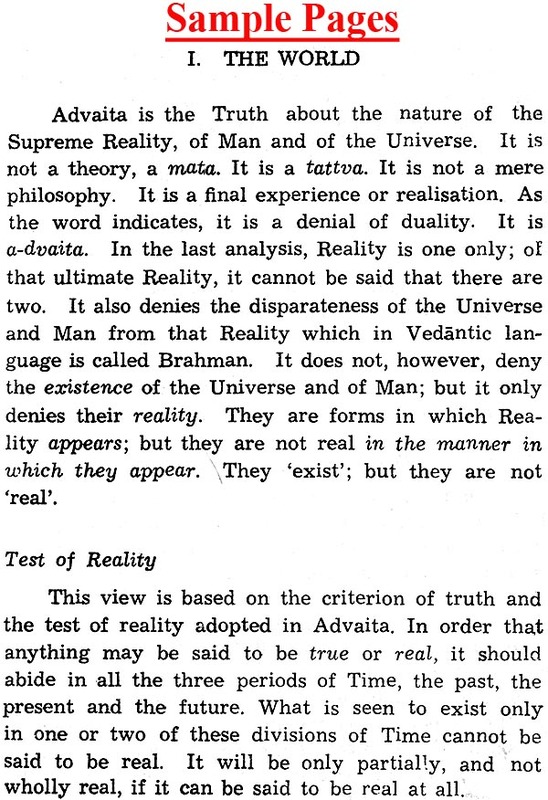 That clearly shows, as pointed out by Prof. Sankaranarayanan in the opening chapter of his book, that, apart from Brahman, there is no other Reality even though the universe may exist. 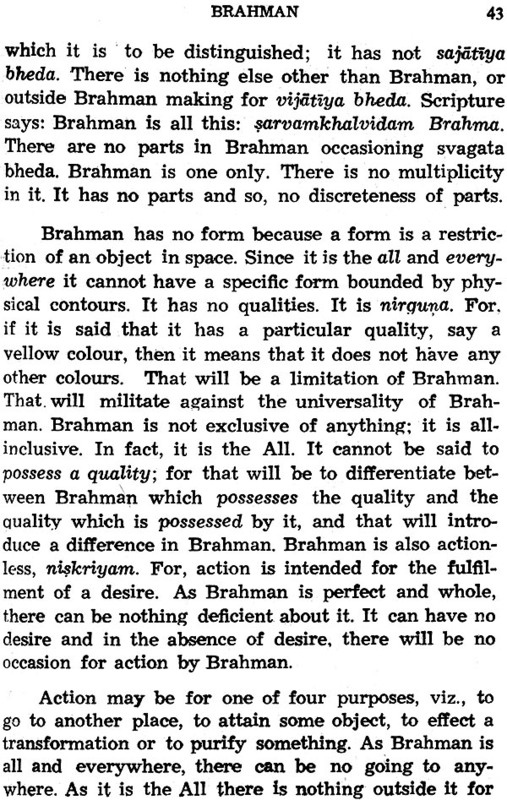 Advaita establishes the metaphysical truth that pure Brahman is the only Reality according to Its strict .definition. The author has also expounded the significance of call- ing the universe as mithya which he says has been wrongly translated as illusion. 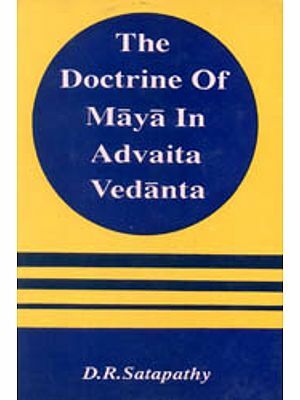 All the other doctrines of Advaita, the three kinds of satta, the avasthatraya, the nature of the self, the ultimate truth of the self not being different from Brahman are also very clearly explained. 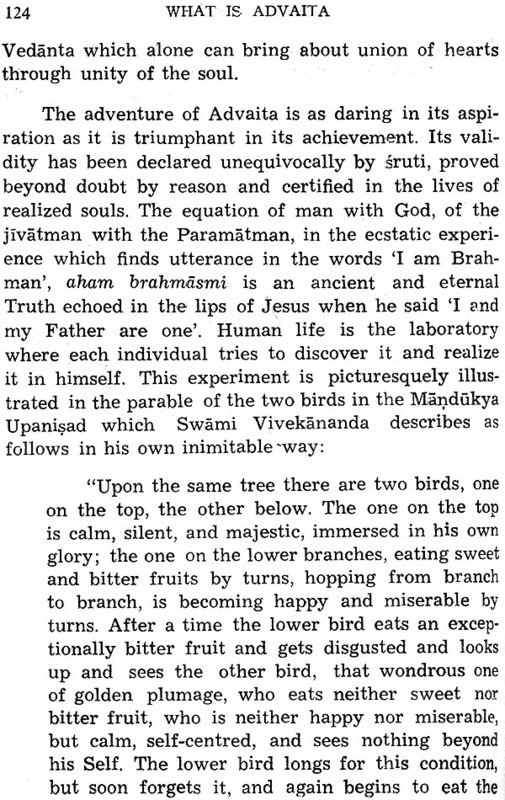 He has referred to the doctrine of maya as adumbrated by Sri Sankara, the necessity for Vivarta Vada to explain how the Infinite has become finite, how the One has become many, how the pure Brah- man has become many jivas and also to the three theories of bimbapratibimba vada, the avacceda vada and the abhasa vada. In fact, he has succeeded in pro- viding a conspectus of all the doctrines of Advaita as expounded by the great classical writers on the subject. The question naturally arises in the minds of people who study Advaita as to what is the pragmatic value of its truths.' The Professor has rightly pointed out that it is the Advaitic temper and attitude that has enabled our great religion to reconcile all the various sects and upasanas in our country. 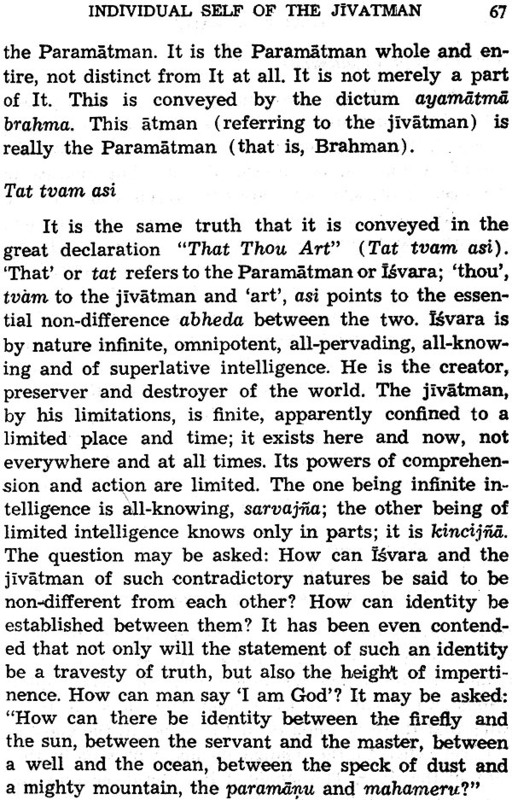 The universal ap- peal of Advaita is also used to inspire a tolerant atti- tude to all religions as being so many ways to realise the Godhead and to show that they only differ in em- phasis on the facets of the same truth of one God and one Humanity. Prof. sankaranarayanan has also righty empsasis- . ed the fact that Science and Advaita do not contradict each other and that the discoveries of Science have shown more and more the validity of the doctrines of Advaita. He has done well to show that Advaita philo- sophy is not divorced from religion and that its great expounders from sri Sankara downwards have been devotees of the personal God in the profound belief that it is a pre-eminent way to realise the Supreme. He has also dispelled the wrong notion that Advaita has not given an important place to ethical standards. He has pointed out that, on the other hand, ethical standards are necessary for the experience of advaita bhava. In a trilingual monthly Jorunal called The kamakoti Pradipam published from Madras, I wrote a series of articles in Tamil under the title Paramarkku Advaitam :"Advaita for the Layman." They were designed to help the reader with no knowledge of Sankrit to get a basic acquiantance with the principles and truths of Asvaita Vedanta so that, he could follow expositions by sastraic scholars. Before sending the articles to the Editor of that Journal, I took care to have them approved by the late lamented savant, Brahmasri Sastraratnakara Polagam srirama Sastrigal who was then Professor of Vedanta in the Madras Sanskrit College. Some friends suggested that I should translate these articles into English for the benefit of a wider circle articles into English for the benefit of a wider circle of readers. This I have now done with some rearrangement of the material of the Tamil articles. In preparing both the original and the translation, I have avoided long quotations from scriptures which are the foundational pramanas for Advaita since I desired to limit myself to a simple and straightforward narration. Part II of the book consists of three Appendices. 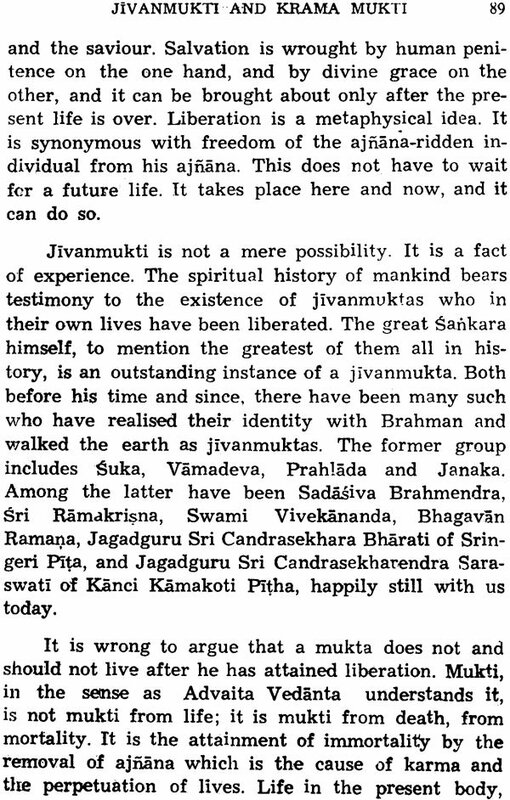 The first is a summary of the articles in Sanskrit in the Advaita Aksara Malika published on the occasion of the Golden Jubilee of the Advaita Sabha, Kumbakonam quoting Vedic authority for the tenets of Advaita Vedanta. The second and the third Appendices are expositions of the Manisa Pancaka and the Daksinamurti Stotra, both composed by sri sankara Bhagavatpada, in which the truths of Advaita are brought out briefly and clearly. For the former, I have used the commentary called Tatparyadipika by sri Sadasivendrasarasvati and for the latter, the Manasollasa of Sri Suresvaracarya. Mr. K. Balasubramania Iyer who is proficient alike in classical lore and modern knowledge has honoured this book with a Forword. I have basked in the sunshine of his friendship and goodwill since my youth. He has been uniformly kind and generous towards me. I am happy to recall that his illustrious father was equally generous and affectionate towards my father. I am very grateful to Mr. Balasubramania lyer for this additional instance of his friendship. I must thank the Editor of Bhavan's Book University Series for including this book in their Series.